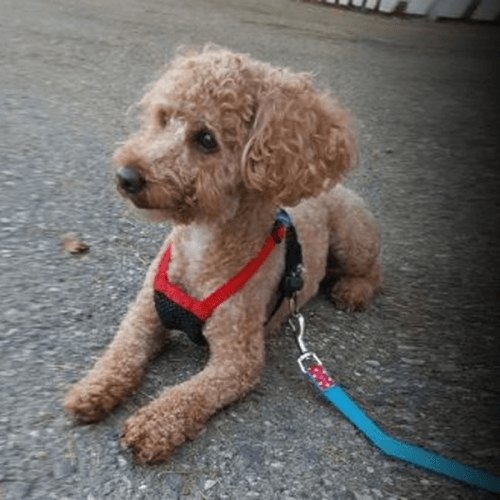 A small poodle is recovering after being found dumped in a locked suitcase on Sunday. 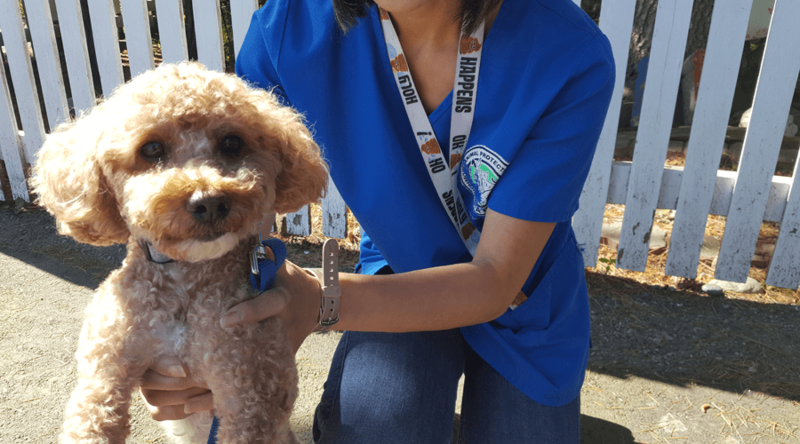 The pup, dubbed Donut by shelter staff because of his sweetness, is friendly and in good health, despite being trapped inside the hard-sided, carry-on sized suitcase for up to six hours on one of the hottest days of the year. A Good Samaritan in Richmond called RCMP for help after finding the case in a wooded ditch near Alderbridge and No 4 Road. Donut was found locked in a suitcase. After prying off both locks, the apricot-coloured pooch was found inside, covered in urine and feces but otherwise okay. The canine was brought to the Richmond Animal Protection Society, where he was examined by staff. The most puzzling thing to RAPS is the fact the dog appears to be a family pet. He is in good physical condition, friendly, and even appears to have been recently groomed. 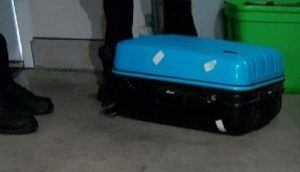 The blue suitcase Donut was found in. “We believe he had been in the suitcase, on the hottest day of the year so far, from three to six hours,” RAPS said in a statement. The dog does not have a microchip or tattoo that would link him to his owner. 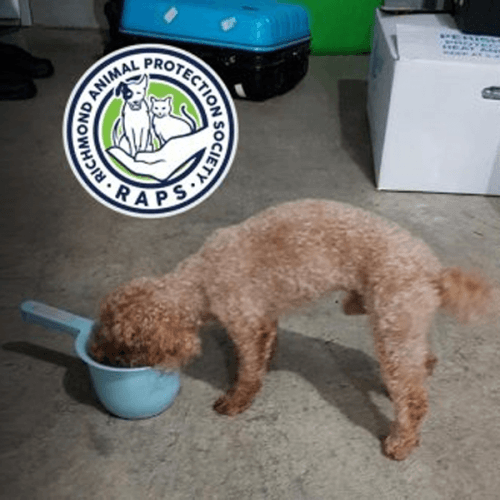 The suitcase has been turned over to the Richmond RCMP in hopes Mounties can find the person who “cruelly” dumped the dog. The BC SPCA has launched an animal cruelty investigation. 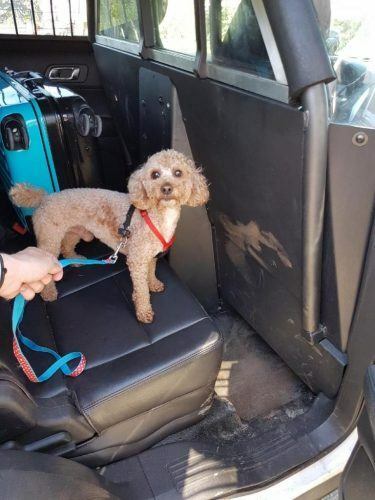 Chief Enforcement Officer Marcie Moriarty said a constable has been assigned to the case, and it’s hoped someone will recognize the dog and come forward to contact authorities. The shelter says there is no reason why this type of cruelty should ever happen. Donut is now in the care of RAPS in Richmond.